23 year old singer Taylor Swift is transformed as Rapunzel on the latest campaign image of the iconic Disney Parks, photographed by the regular photographer Annie Leibovitz. Click here to view last year campaign featuring Jason Segel, Will Ferrell, Russell Brand and Jack Black. Click here to view 2011 campaign featuring Johnny Depp, Jeff Bridges, Penelope Cruz, Queen Latifah, Alec Baldwin, Olivia Wilde and Patti Smith. 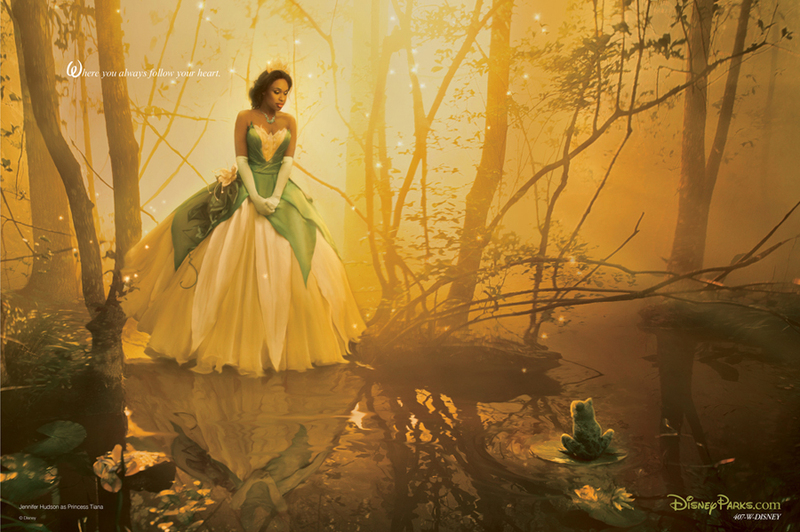 You can also view our very first post back in 2009 which featured Disney Parks‘ 2007 and 2008 campaign images featuring Zac Efron, Vanessa Hudgens, Roger Federer, Gisele Bundchen, Beyoncé, Michael Phelps, Jessica Biel, Rachel Weisz, Jennifer Lopez, Marc Anthony, Julianne Moore, Orlando Bloom, Scarlett Johansson, Whoopi Goldberg, Julie Andrews, Abigail Breslin and David Beckham. Click here to view 2012 cover featuring Kristen Dunst, here for 2011 cover with Kate Bosworth, and here for 2010 cover with Olivia Wilde. I’m loving most of the subscriber covers of this Roberta Myers edited monthly fashion publication rather than the newsstands. 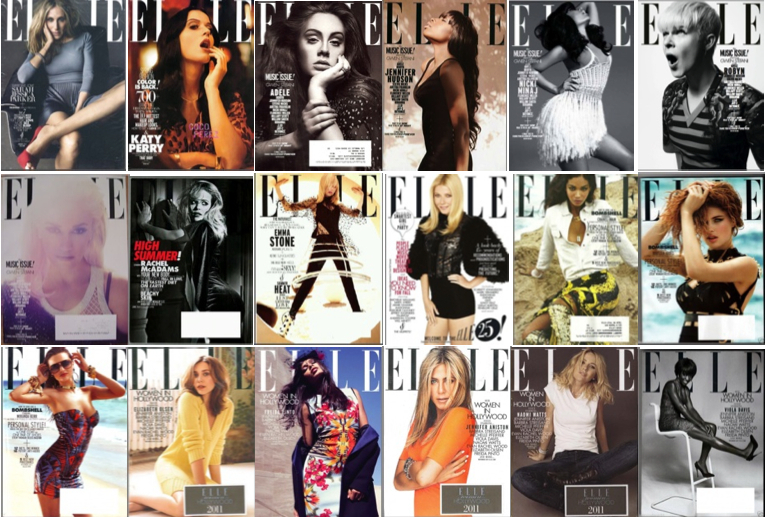 But the contents of the magazine that was first published in 1985 are what I love the most, and that what makes me still subscribing Elle US regardless the cover stars. Some of the covers that got my attention are: Sarah Jessica Parker‘s January issue lensed by Tom Munro. Even though her face looked awkward on the newsstands cover but that green dress from Halston was a great choice; their first model covers in a long time for October issue photographed by Alexei Hay and crazy styling by Joe Zee; all of the subscriber covers for May issue featuring Adele, Gwen Stefani, Robyn, Nicki Minaj and Jennifer Hudson; and last but not least, Freida Pinto‘s subscriber cover for November issue lensed by Dusan Reljin. I love those covers! 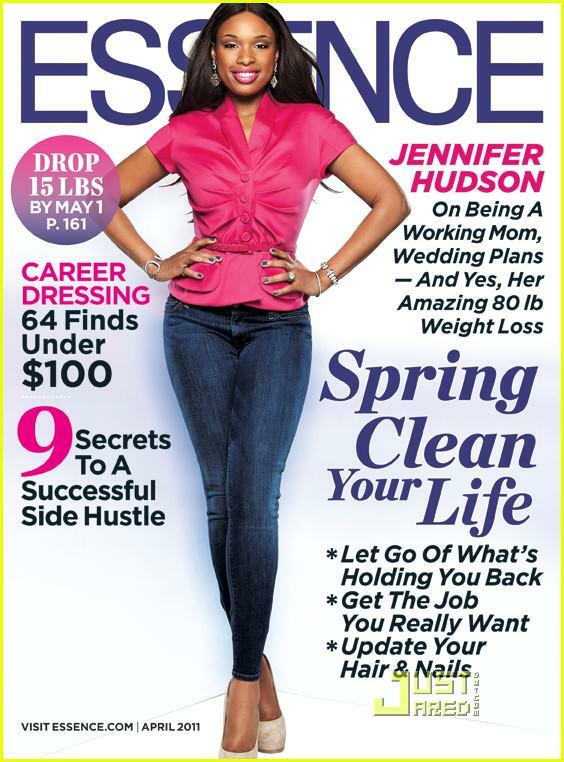 The rest of the cover stars are Katie Holmes for February by Carter Smith which is just plain bad and unflattering, ugh! ; Katy Perry for March also by Carter Smith in Gucci; Amanda Seyfried for April by Alexei Hay in Prada; Rachel McAdams for June by Alexei Hay (the subs cover was quite unusual); funny lady Emma Stone for July by Carter Smith in Versace; Mila Kunis and her Friends With Benefits co star Justin Timberlake for August by Carter Smith; Gwyneth Paltrow for September by Carter Smith (I’m bored of her and Jennifer Aniston to be honest); and the stunning Jessica Biel for December by Elle US regular photographer, Carter Smith. I know the subscriber covers are not complete yet, hopefully that doesn’t affect your interest to share your favourites on our comment box below 😉 Oh, and you can read last year’s recap here. 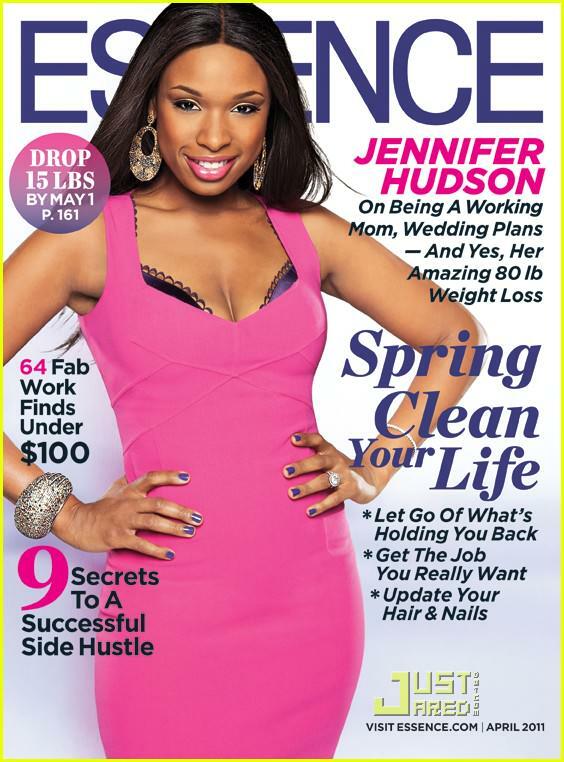 Click here to view last year cover featuring Beyonce and here for 2009 cover featuring Kelly Clarkson. 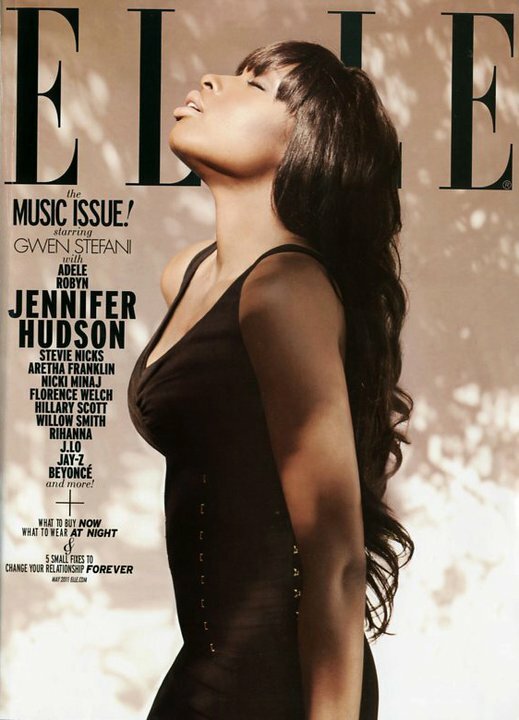 Jennifer Hudson is the fifth girls to be featured on the May 2011 cover of Elle US Music Issue! 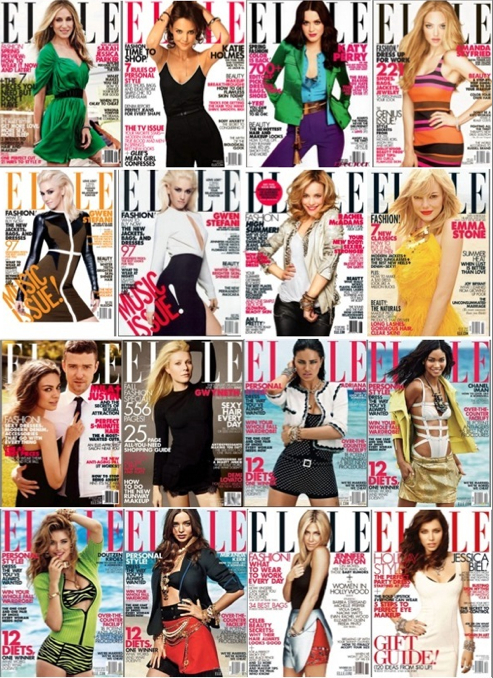 The previous cover stars are Gwen Stefani (with three different cover options! ), Robyn, Nicki Minaj and Adele.